Situated in the historical district, this spa hotel is within 1 mi (2 km) of Erindale Park and University of Toronto Mississauga. Huron Park Arena and Erin Mills Twin Arenas are also within 3 mi (5 km). 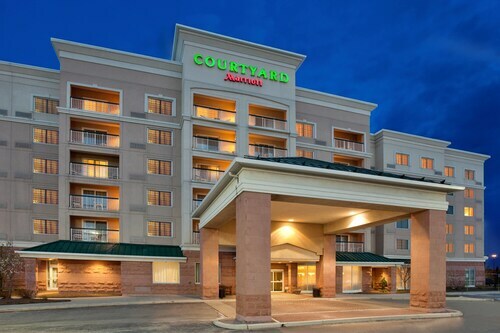 Located in the business district, this Mississauga hotel is 5.7 kilometers from the Meadowvale Conservation Area and 12.5 kilometers from Playdium and the Square One Shopping Mall. The Rose Theatre is 14 kilometers away. 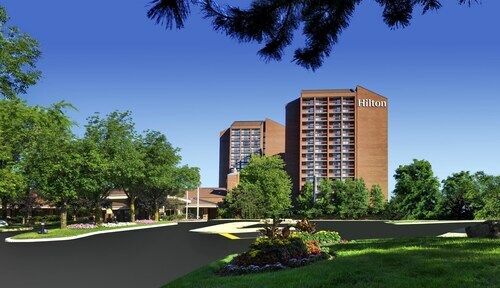 Located in Gateway, this eco-friendly hotel is within a 15-minute walk of Derrydale Golf Course and Mississauga Convention Centre. Apollo Convention Centre and Powerade Centre are also within 2 mi (3 km). 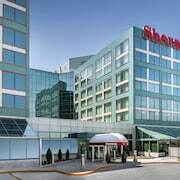 Located in Sheridan, this hotel is 2.4 mi (3.8 km) from University of Toronto Mississauga and within 6 mi (10 km) of Lake Ontario and Sheridan College. Mississauga Central Library and Living Arts Centre are also within 9 mi (15 km). Mississauga Clarkson Station is 30 minutes by foot. 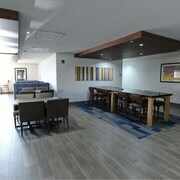 Located in Northeast Mississauga, this hotel is 2.4 mi (3.9 km) from Iceland Arena and 2.8 mi (4.5 km) from Mississauga Hershey Centre. Centennial Park is 2.8 mi (4.5 km) away. 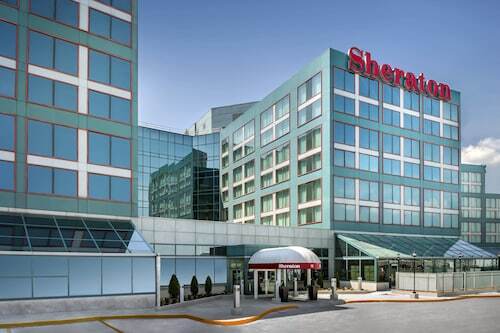 Located in Gateway, this eco-friendly hotel is within a 15-minute walk of Derrydale Golf Course and Mississauga Convention Centre. Apollo Convention Centre and Mississauga Grand Banquet and Convention Centre are also within 3 mi (5 km). 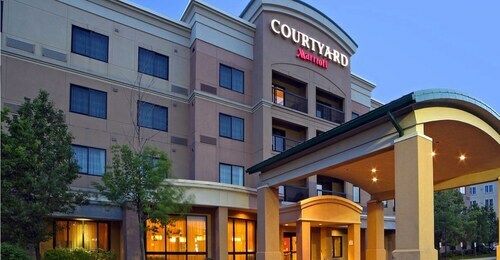 Situated in the business district, this hotel is 1.3 mi (2.2 km) from The Egyptian Museum Mississauga and within 6 mi (10 km) of Heartland Town Centre and Toronto Premium Outlets. Mississauga Hershey Centre and Playdium are also within 12 mi (20 km). Mississauga Meadowvale Station is 10 minutes by foot. 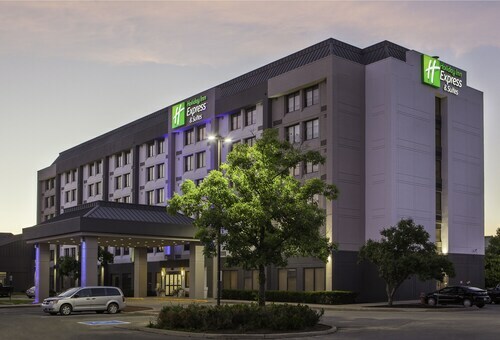 Located in Gateway, this eco-friendly hotel is 0.3 mi (0.6 km) from Mississauga Grand Banquet and Convention Centre and within 3 mi (5 km) of Mississauga Hershey Centre and Mississauga Convention Centre. Playdium is 2.8 mi (4.5 km) away. This downtown hotel is across from Square One Mall, 18 km (11 mi) from the airport, 28 km (17 mi) from downtown Toronto, and 109 km (67 mi) from Niagara Falls. Are you looking for a break from the hustle and bustle of your day-to-day life? Do you want to escape reality and forget about your never ending to-do list? Then why not treat yourself to a relaxing stay at one of the spa hotels in Mississauga? 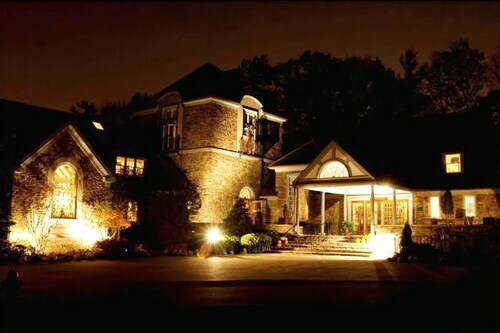 Whether it is for a weekend getaway or a staycation, book your visit to one of the Mississauga luxury spa hotels. With all of the amazing things to do around Mississauga, you will likely be worn out from sightseeing. 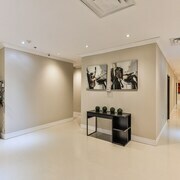 The Mississauga spa hotels provide top of the line facilities with hot-tubs, saunas and private treatment rooms. Treat yourself to an indulgent hot stone massage or facial to rejuvenate from a busy day. If that's not enough for you, indulge in a full day-at-the-spa package. And maybe you are just looking to reach maximum relaxation before a fancy night out on the town. Take advantage of the salon features offered at most Mississauga spa hotels and get a mani-pedi before your evening begins. Travelocity wants to help you relax and rejuvenate during your next stay in Mississauga, but we know that spa treatments can put some strain on your wallet. Bundle your hotel and flight together and save enough to pay for your facial! The Property was clean, staff was nice and helpful. Excellent service. Great breakfast. Comfortable beds.